PRETORIA, South Africa, 26 November 2018 – The Ford EcoSport enjoys prominence on the sales charts in the compact sport utility vehicle (SUV) segment, and the latest model raised the stakes further when it was launched in June this year. “The EcoSport has always offered a compelling combination of exceptional value for money matched to great style, upmarket features and family-oriented space and versatility,” says Doreen Mashinini, General Manager, Marketing at Ford Motor Company of Southern Africa (FMCSA). “With the updated range we set a new benchmark for the class once again, and the launch of the EcoSport 1.5 Ti-VCT Ambiente broadens its appeal even further by giving customers even greater value at the entry point to this popular segment. “Combined with the impressive performance of the new-generation 1.5-litre three-cylinder petrol and the superb level of standard comfort, safety and convenience features, the EcoSport range is a more appealing proposition than ever,” Mashinini adds. 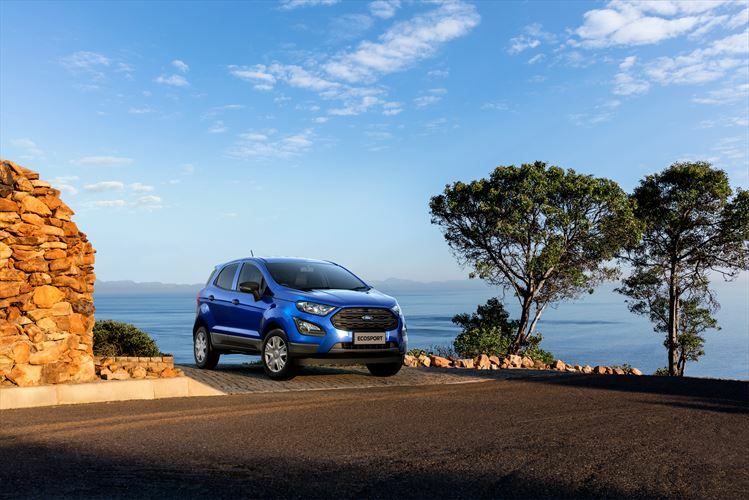 Despite the new EcoSport 1.5 Ambiente being positioned as the entry-level model in the range, it is equipped with an outstanding level of standard features. The safety package incorporates Electronic Stability Control, six airbags, ISOFIX child seat mounting points, rear parking sensors and manually activated ‘Follow-me-home’ headlamps.